"You remind me of Amy Poeler. Has anyone ever told you that?" Yes. And I don't mind. She's pretty funny in my book. I was actually called Amy this past week and it kind of cracked me up! So, happy random Friday. 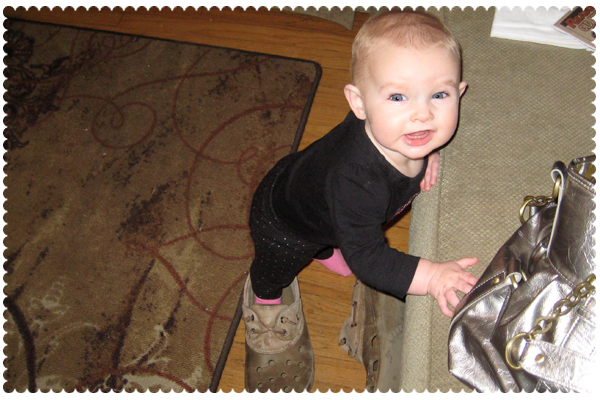 And, because nana checks this blog for pictures of her Sweet P, I will end with this, a P in a croc. What a cute picture of your little one! 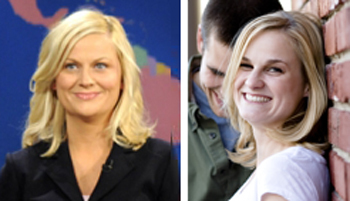 And I totally see the similarities between you and Amy Poeler! - your girl is super sweet!